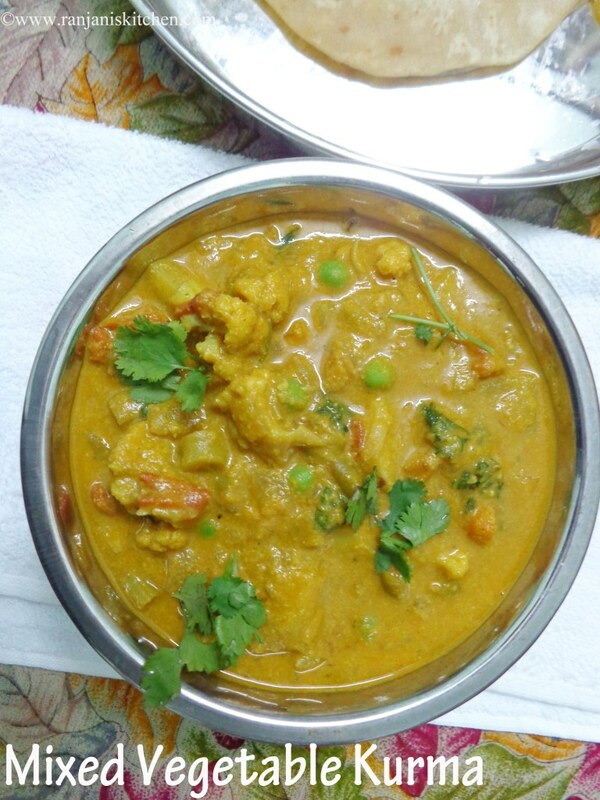 Mixed veg Kurma is a delicable south indian vegetable stew. It’s a best side dish for chapati.This kurma is usually served in south indian hotels for roti. Also this goes well with pot meals and pulav.I tried this with poori. Really it tastes the best. Also its healthy with rainbow of veggies and less complicated 🙂 we can scoop for. Now off to recipe. 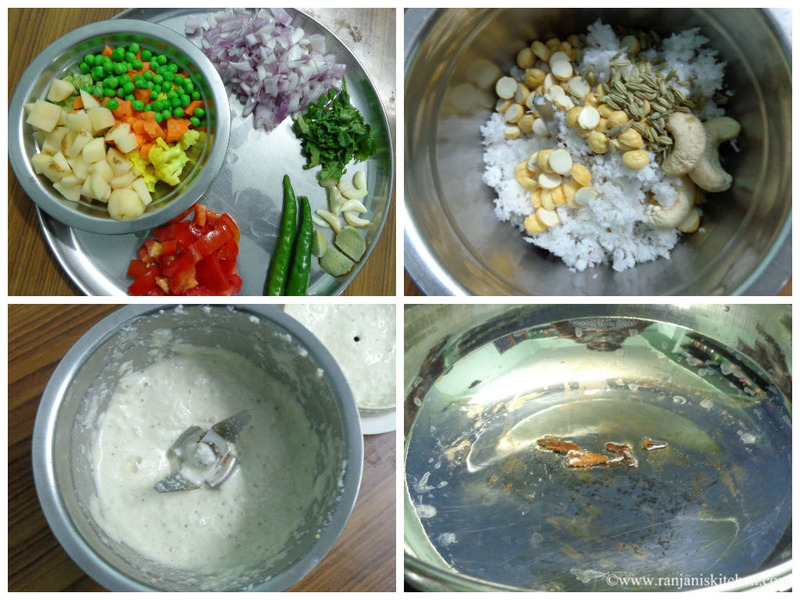 To see more indian veg recipes, click recipe index. Green chilli – 2 no. Cashew nuts – 4 to 5 nos. Wash veggies and chop them into small pieces. Chop onion and tomatoes finely. 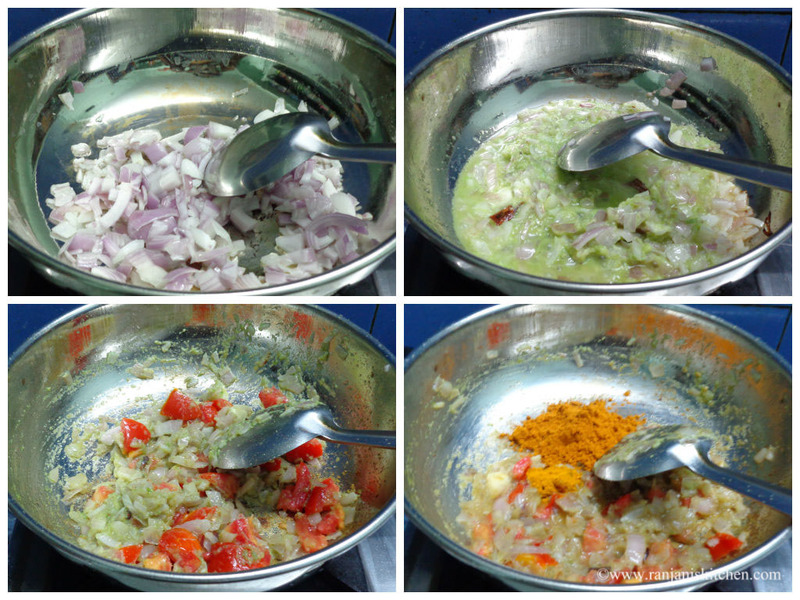 Then Grind garlic, ginger and green chilies together as a smooth or coarse paste. Then grind the items given under “to grind” to smooth paste. Keep everything set ready. Now heat a pan, pour oil, temper with cloves and cinnamon sticks. Then add onions, sauté well till it turns transparent, and then add ginger, garlic and green chili paste. Stir completely until the raw smell leaves. Once it done, add tomatoes. Sauté well and cook for few more mins. Then add milagai thool and turmeric powder. Mix well and add veggies.Stir well and add 1 cup of water and salt. Close with lid and cook for 5 more mins.Once the veggies are cooked, add the grinded coconut cashew paste. Stir well and let it cook in medium flame for 3 mins.Then turn off stove and garnish with coriander leaves. Veggies I mentioned are optional. You can skip something and add available veggies alone. Cook this gravy to semi gravy consistency. Don’t let it too thick or too runny. You can also pre-cook veggies and add it to the gravy. But I prefer this method. Because while cooking along with veggies it tastes good. Do not skip cashews, Which gives richer creamy taste for this stew. 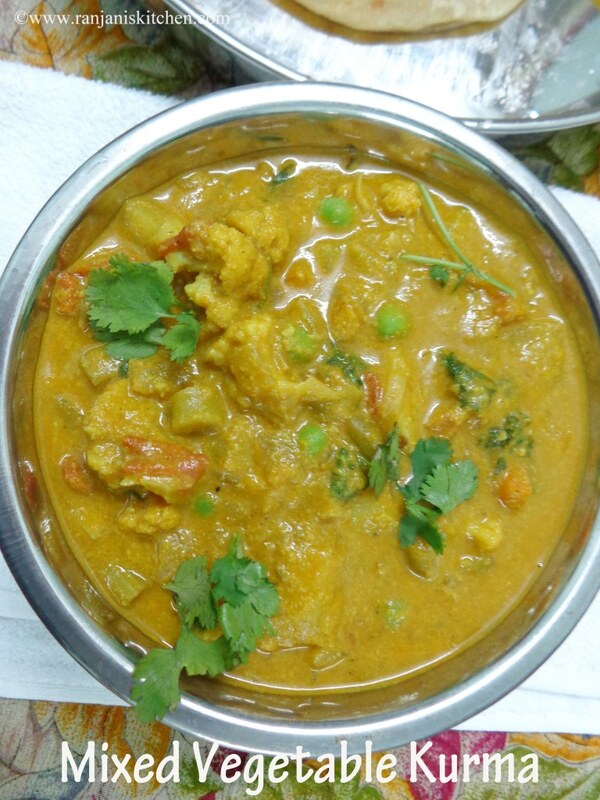 Mixed vegetable kurma looks delicious.